Ronald the Fat Little Reindeer! A shiny PDF for you to download here! 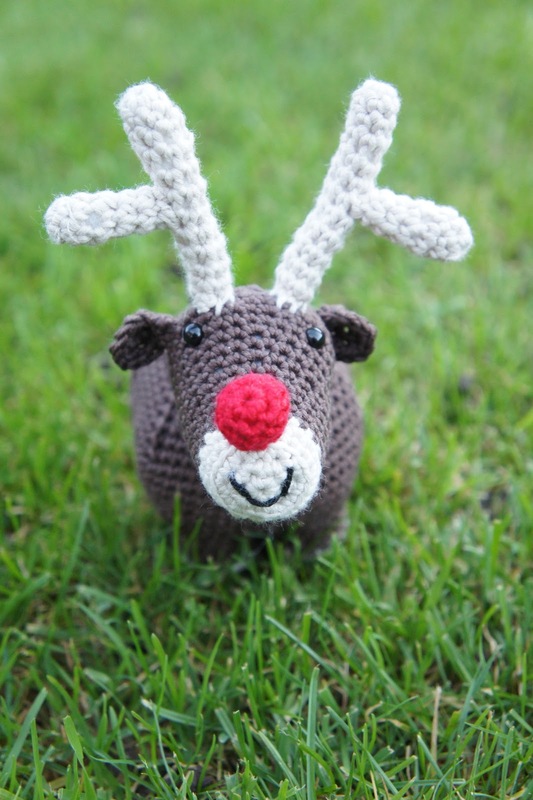 He is also available as a free Ravelry download! Please have a go and let me know how you get on with the pattern... I have tested it and tweaked a couple of bits so it should be pretty straight forward! 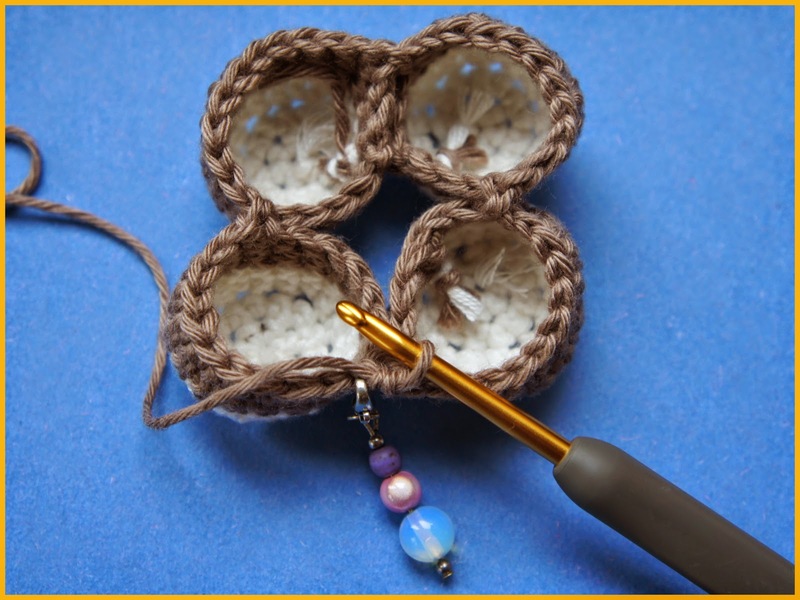 Please click here to download the free pattern! 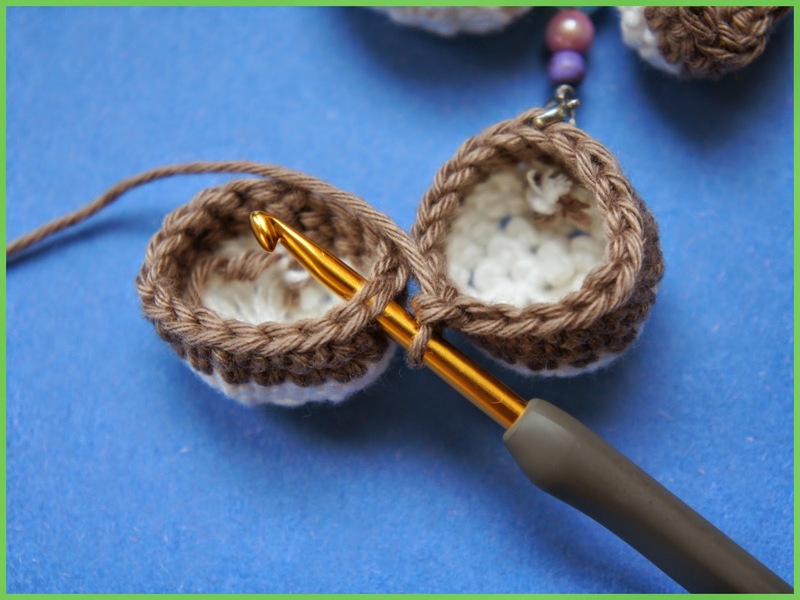 Then, insert your hook from front to back into a stitch on another foot. 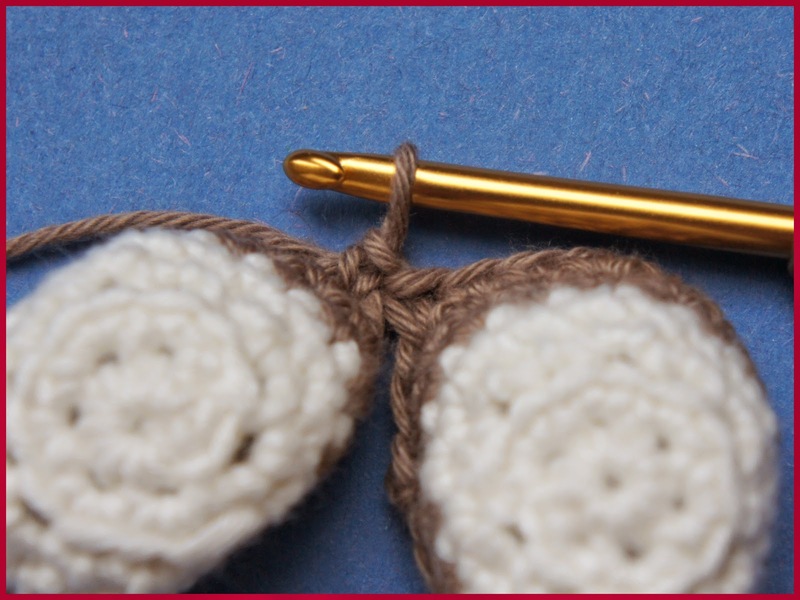 I tend to choose a stitch about 3 to the left of the join, this way the seam gets hidden in the middle. 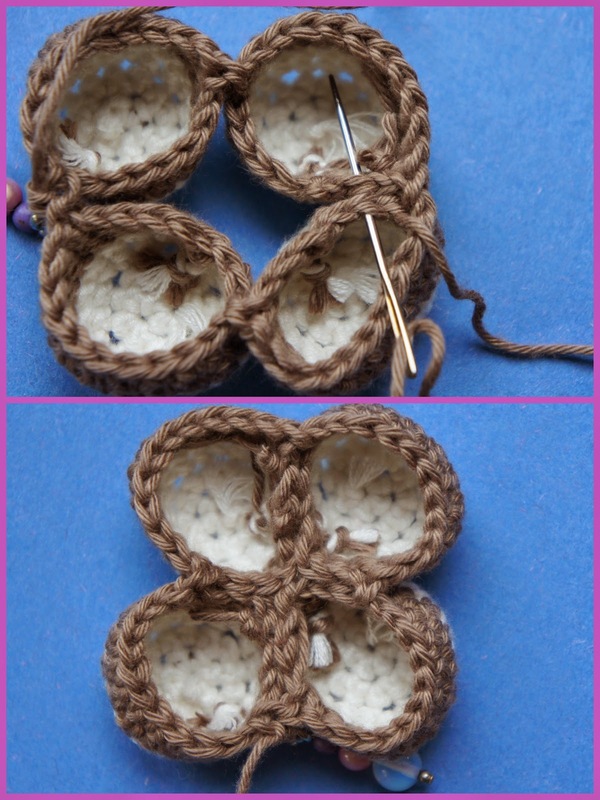 That is the end of the first round, but I like to make the next stitch to join them up. 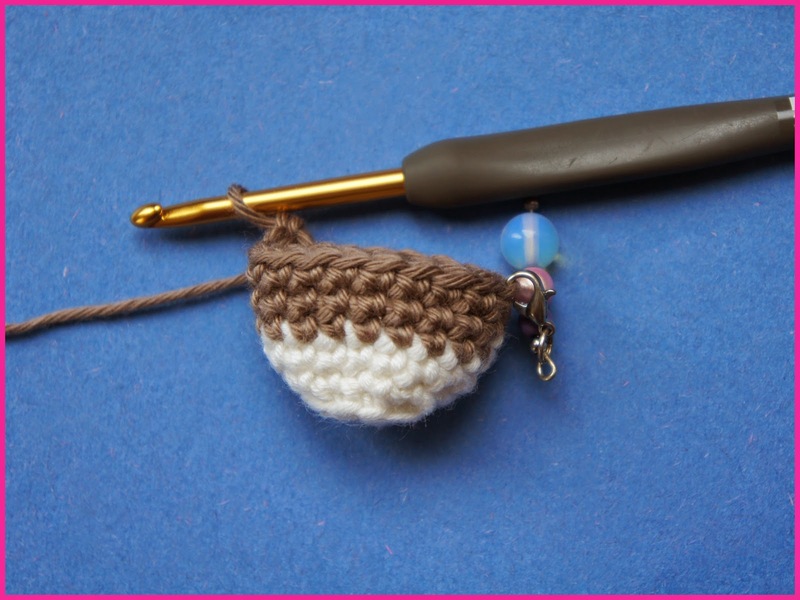 Simple single crochet into the first stitch of the round (the marked stitch). This is in fact the first stitch of Round 2 of the body. 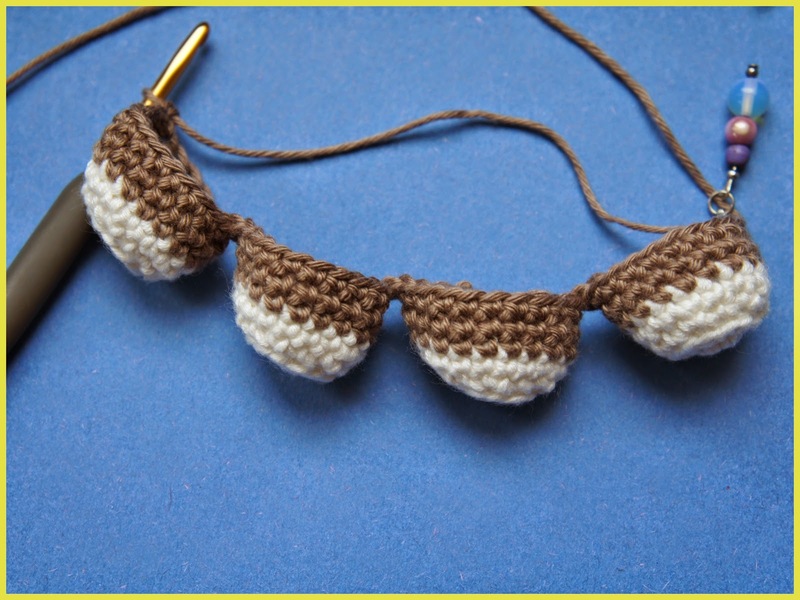 You will notice a large gap in the middle - simply take some of the brown yarn and sew it closed, working through the unused stitches. And there you have it - Ronald's legs are complete. 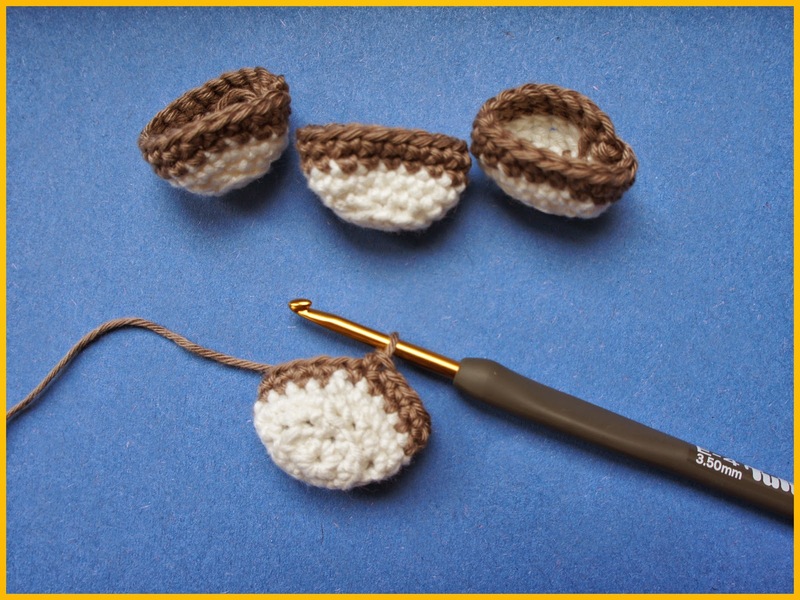 The next round of the body will work around in the 48 stitches you just made - back to normal rounds! I hope this helps! I'm Proud I Made These!